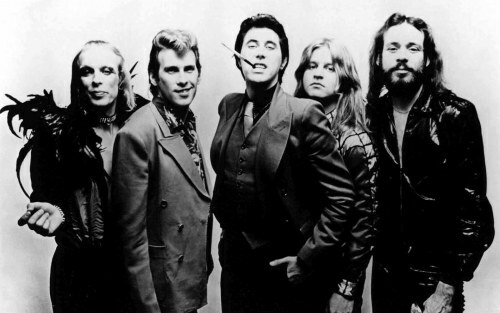 Any excuse to just listen to Roxy Music for the rest of the day. Starting with the incomparable first album, of course. What a powerful introduction, from the winking, gaudy throwback aesthetics to the off-kilter romanticism within. I’ve been listening to this record all my life and I’m still not sure what it’s saying. It may be saying that every love affair is like a suit you step in and out of, and life is a series of impressions to write about. Or it could be saying that glamour is a cheap salve that barely covers your wounds and does nothing to protect your vulnerable heart. You can be walking around bleeding on the inside, but at least you look – and sound – great doing so. Or it may be that there is nothing underneath the lace and velour and the poses you strike are everything you are and all of your feelings are just a performance. It may be all of the above, if you’re truly versed in camp and irony.